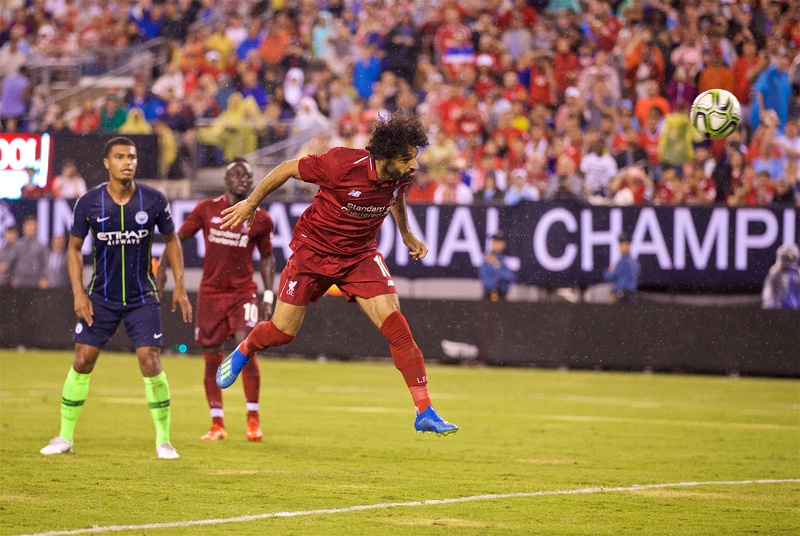 Follow the latest news, updates, videos, photos and much more on day five of Liverpool's 2018 Tour, as the Reds faced Manchester City in the International Champions Cup. After a dull first half this game came to life in the second and Liverpool came from a goal down to beat their Premier League rivals. Sane broke the deadlock only for Salah to quickly equalise and after a concerted period of Reds pressure, Mane won it from the penalty spot in stoppage-time. Sadio steps up from 12 yards and calmly rolls his spot-kick to the left, with Hart diving in the opposite direction. Solanke goes down under pressure from Adarabioyo as he tries to collect Salah's dinked pass and the referee points to the spot. Solanke slips Mane clean through one-on-one but he gets too much power on the touch as he goes around the 'keeper and the angle is then too tight to score from. Should have been the winner! Salah tricks his way into space for a cross on the right edge of the area and lofts it to the unmarked Mane coming in at the back post but the forward gets his finish all wrong and skews it away from goal. We're into the final moments and it's Liverpool looking the likely side to win this, with Mane and Salah particularly sharp and the Reds dictating possession for long periods. It's a familiar sight, isn't it? Mane has been fantastic since coming on and the No.10's fleet of foot fooled the opposition defence and created room to set the ball back to Grujic for a shot - but it's well over from the midfielder. Salah goes close to a second... twice. First, the Egyptian has another header blocked on the line from Mane's lofted cross, then he gets clear inside the City area but dinks his effort onto the crossbar. Salah has only been on the pitch for a matter of seconds before he gets free inside the box to head in Camacho's cross from the right flank. Moreno, Chirivella, Phillips, Grujic, Camacho and Salah are on. Seconds after Liverpool have a strike disallowed for offside at one end, City take the lead at the other. Sane is released in behind and his pace takes him away from Van Dijk and opens up an angle to drive a shot past Kelleher. 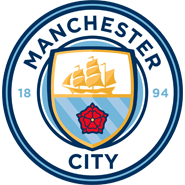 City break away along the right flank and the ball is squared across the box for Sane for what seems to be a straightforward tap-in - but Kelleher brilliantly blocks the shot with his legs. 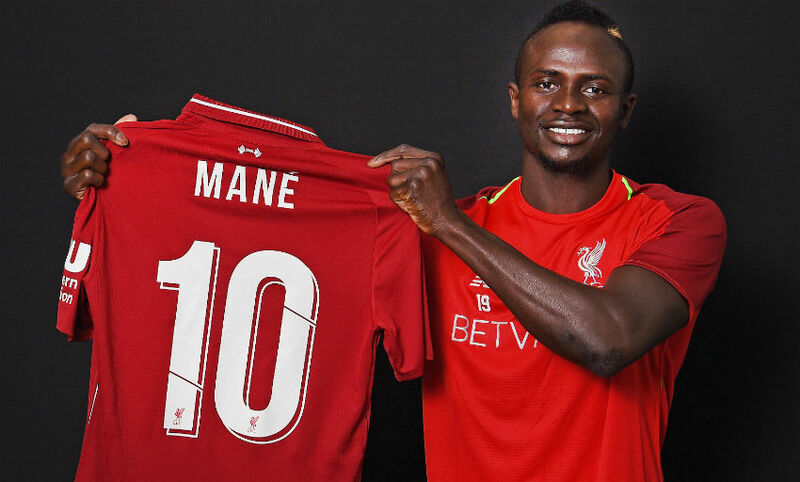 A first appearance as Liverpool's No.10 for Sadio Mane! Milner picks out Mane with a crossfield pass into the box but the Senegalese is crowded out by a combination of the City defence and goalkeeper as he struggles to get the ball under control. Klopp has made five changes at the interval. Kelleher, Klavan, Woodburn, Solanke and Mane are on. Karius, Gomez, Wijnaldum, Lallana and Sturridge off. It has been a half of little real goalmouth action and it ends with neither team holding an advantage. Jones involved again and this time he is appealing for a penalty. Nimble footwork takes him around Humphreys, who does appear to lunge at the No.48 but the referee is not convinced. Liverpool's best move of the game creates a chance for Jones. Milner swept a pass in behind for Wijnaldum on the right and he laid it back to Clyne, whose touch and cross teed up the Academy prospect for a header inside the area which he could not keep down. Mahrez shapes to take advantage of an inviting free-kick, right of centre, but his curler is a simple catch for Karius. The game is livening up a touch and Bravo is called into action from Jones' daisy-cutter from 20 yards, though again it is not a troublesome piece of work for the goalkeeper. 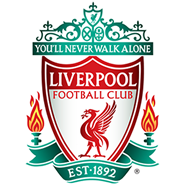 Nearly an odd-looking goal for the Reds as City fail to adequately clear Milner's corner from the left side and Lallana seizes on the loose ball with a prodded finish that drifts wide of the right post. Van Dijk goes into the book. City claims for a penalty waved away as Robertson slides in on Bolton inside the box but does not fully commit to the tackle and the attack breaks down. 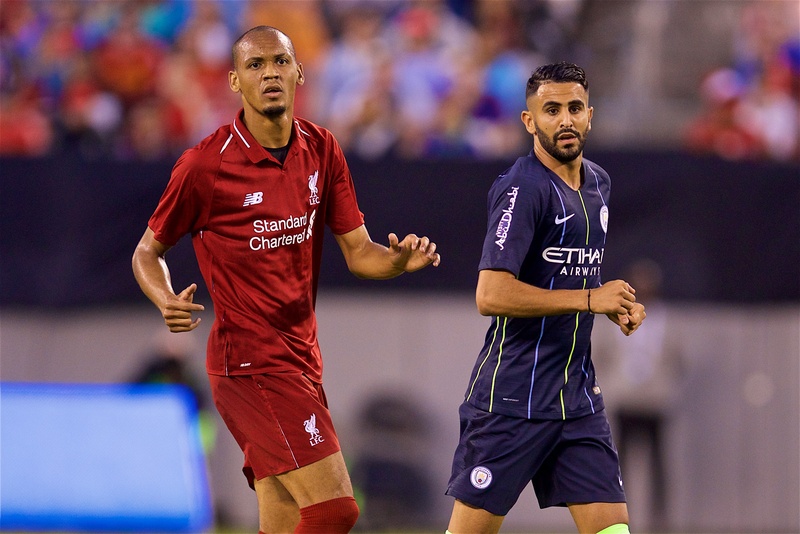 Fabinho wards off a threat from Mahrez at MetLife Stadium. Another sight of goal for City but a driven cross from the left flank flies out of the reach of Denayer at the back post. At the other end, Curtis Jones knocks a shot towards goal after cutting in from wide. Easy take for Bravo, however. Mahrez spun into space in midfield and slipped a pass through to Nmecha on the wrong side of Gomez running towards the box. His effort was stopped by Karius, though, and Fabinho reacted quickly to scoop the ball away at the expense of a corner. Good recovery defending by Adam Lallana there to deal with the danger from a City cross from the right, initially with a defensive header and then a clearance. Pep Guardiola's side are warming to the task now. It has been a confident start by the Reds, who have commanded most of the possession so far, but neither side have posed any serious threat to the opposition goal yet. The two teams have finished their warm-ups and returned to the dressing rooms for their final preparations before kick-off. We've heard the national anthem and now we await the action. 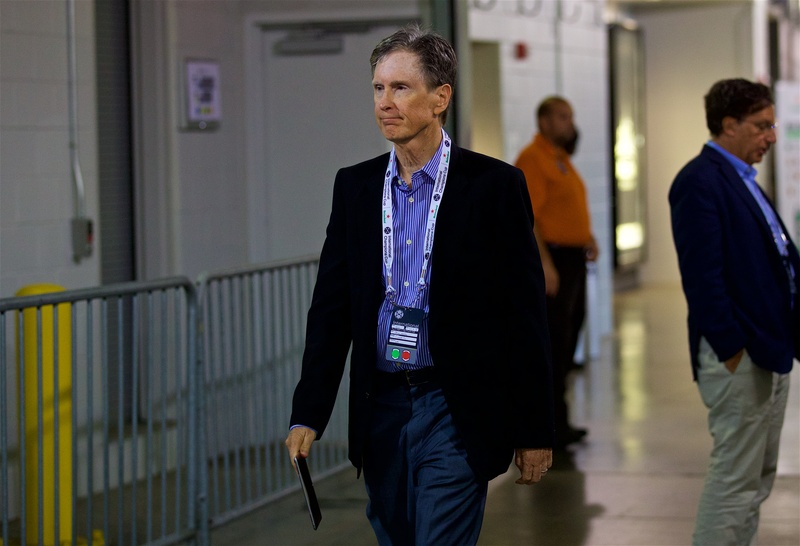 Liverpool FC's principal owner, John W Henry, is at the MetLife Stadium to watch tonight's game. Jürgen Klopp has confirmed Mohamed Salah and Sadio Mane will get some minutes in the second half tonight, and explained why Naby Keita misses out. Click here to read an update from the boss. 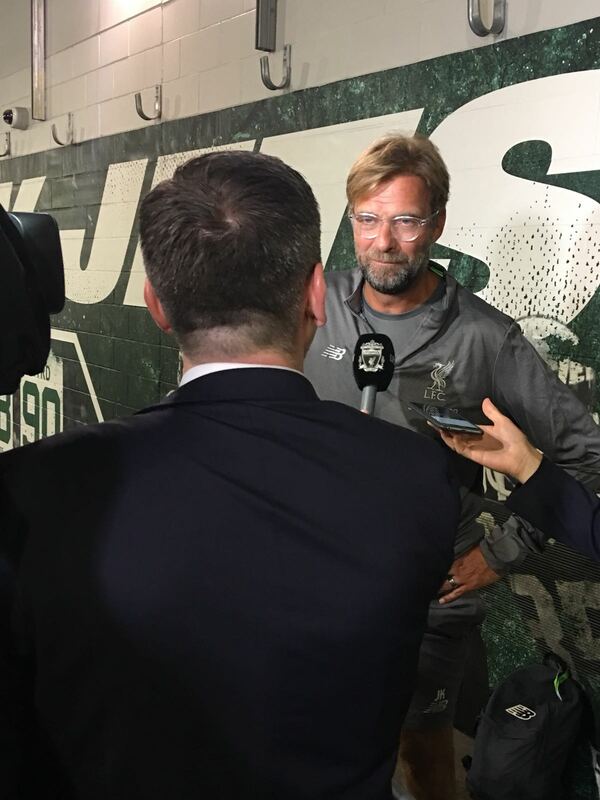 The gaffer has just spoken to LFCTV ahead of kick-off - our live coverage from the MetLife Stadium is now under way. 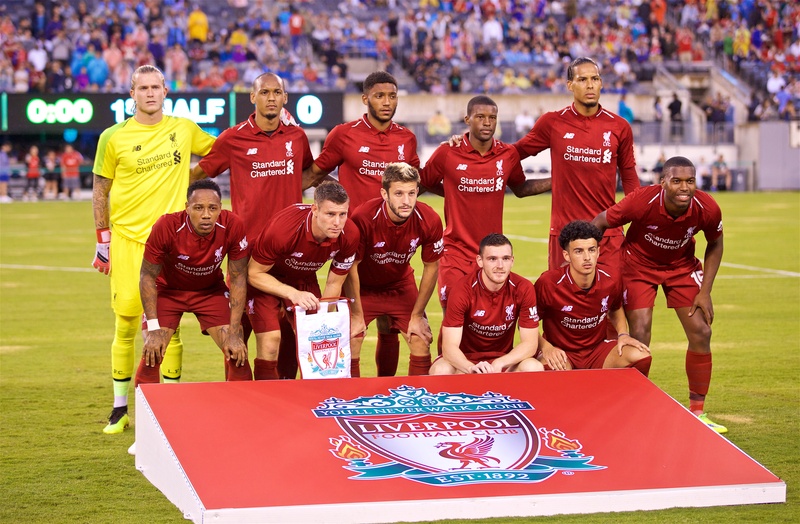 Daniel Sturridge leads the line for the Reds at the MetLife Stadium, while summer signing Fabinho starts. 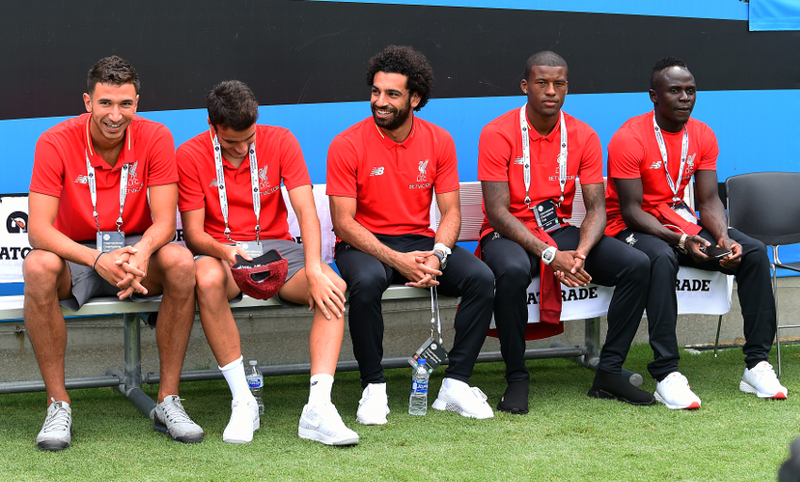 Mohamed Salah, Sadio Mane and Marko Grujic are named on the bench for the first time this summer. Naby Keita is ruled out as a precaution due to a sore neck. Subs: Kelleher, Mane, Salah, Grujic, Klavan, Moreno, Solanke, Phillips, Ojo, Woodburn, Camacho, Chirivella, Grabara. This is, of course, Liverpool's first ever visit here. For more photos from LFC's pre-match training session ahead of the ICC clash with City, click here. 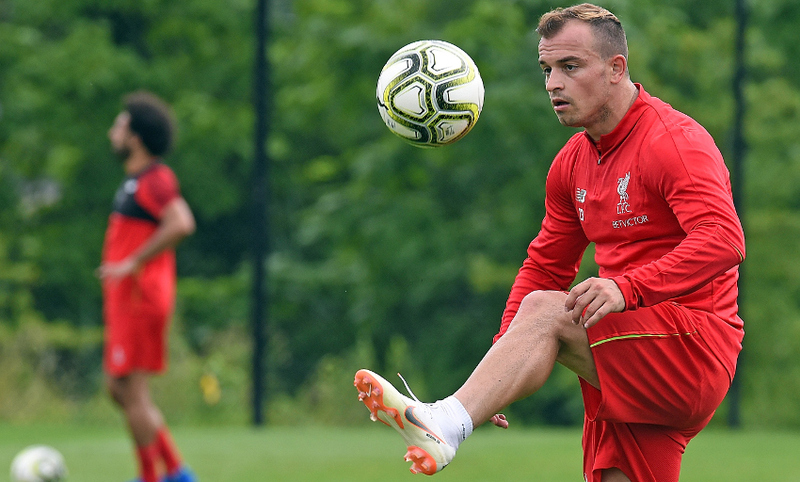 As mentioned earlier, Shaqiri gave us an interview shortly after his first training session with Liverpool today. On the agenda? His excitement to be part of the squad, when his debut might come, and more. Oh, and a certain meme. Click here to read the full chat. 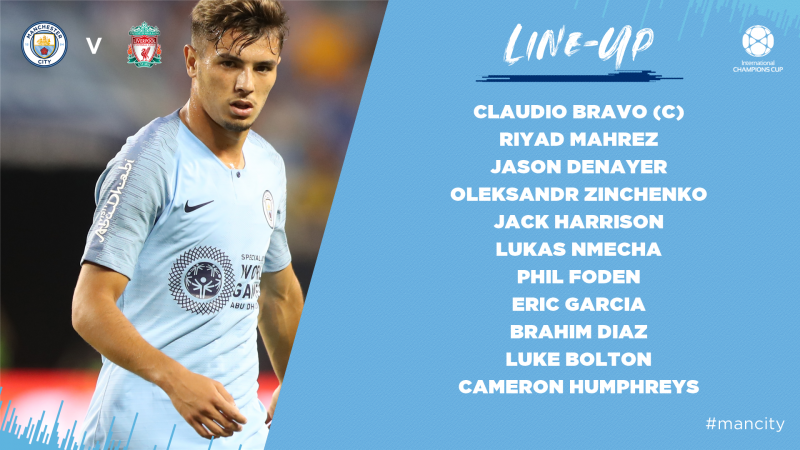 Will Salah, Mane, Wijnaldum and Grujic play v City? 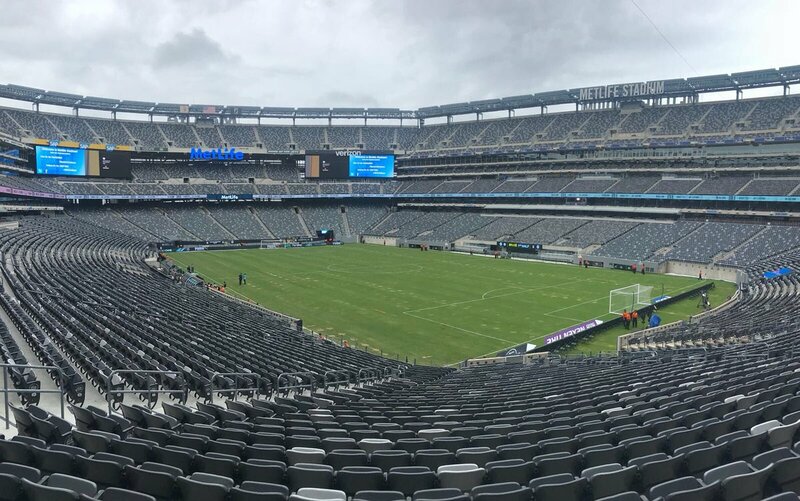 Salah, Mane and Grujic are on course to get their first minutes of pre-season at the MetLife Stadium this evening, while Wijnaldum - yet to feature in a friendly this summer due to a muscle issue and then illness - is available too. 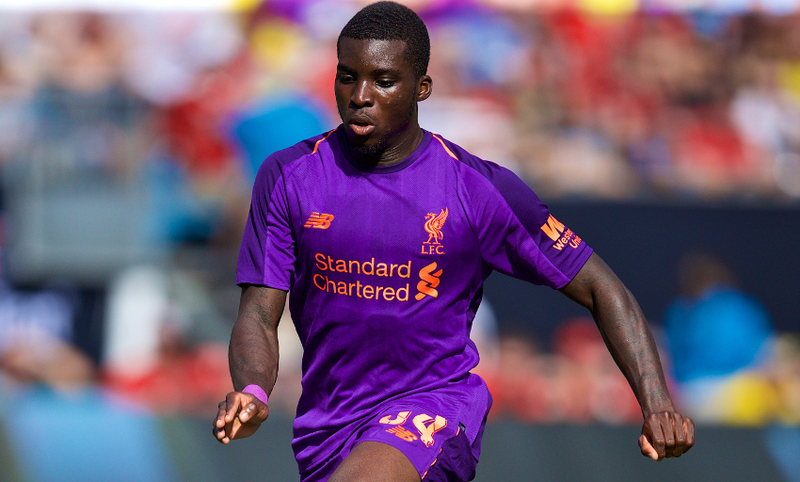 Sheyi Ojo has figured in all five of Liverpool's pre-season friendlies so far this summer - and he's been in lively form on the right-hand side. However, while keen to take his chance with the Reds, he accepts a loan move may be on the cards in order to get some more game time. “I feel like there comes a time when in order to make the next step, maybe you have to go out on loan and get a different experience. If that happens for me, then I’ll be looking to keep improving and come back stronger." Read more from our exclusive interview with Ojo on a potential loan, taking his chances and life on the USA tour. 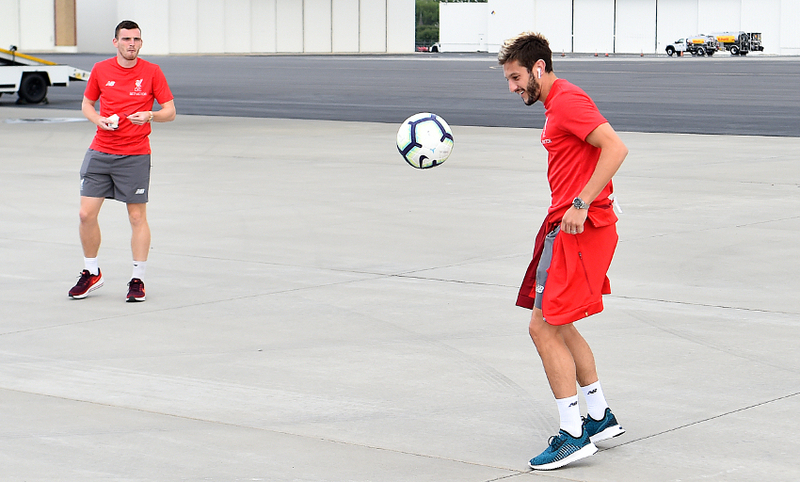 You've seen the photos of the kickabout on the tarmac at Charlotte airport yesterday and now we can bring you footage of perhaps the most unusual game ever. 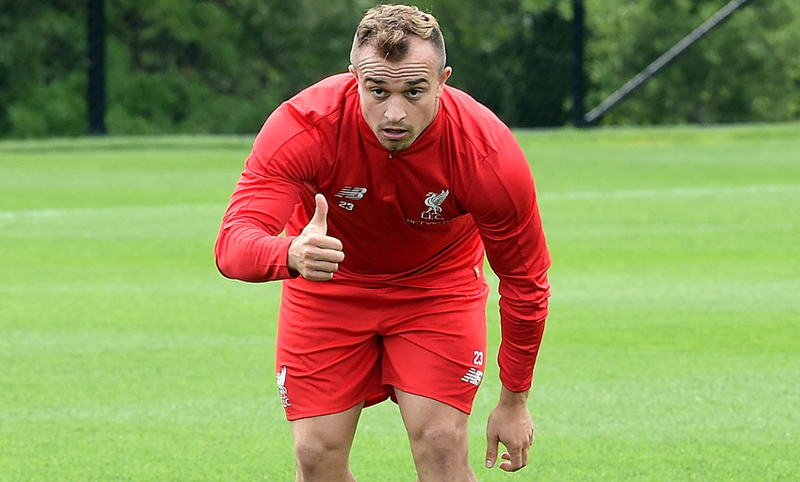 We also got some mobile phone footage of Xherdan taking part in his first LFC rondos. 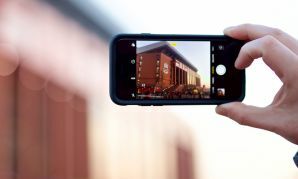 Stay fixed to Liverpoolfc.com and LFCTV GO for our polished filming and that aforementioned interview. Our last meetings with Manchester City weren't too long ago. 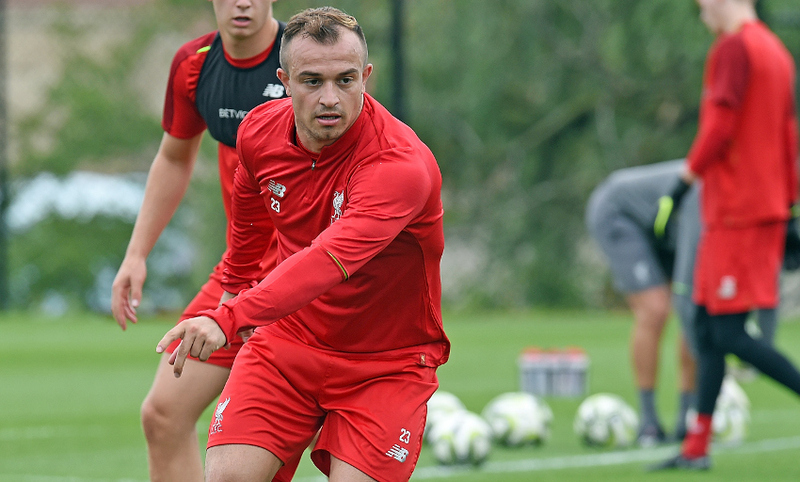 This morning's training session is now under way - and Xherdan Shaqiri is part of the group for the first time since he signed for the club earlier this summer. 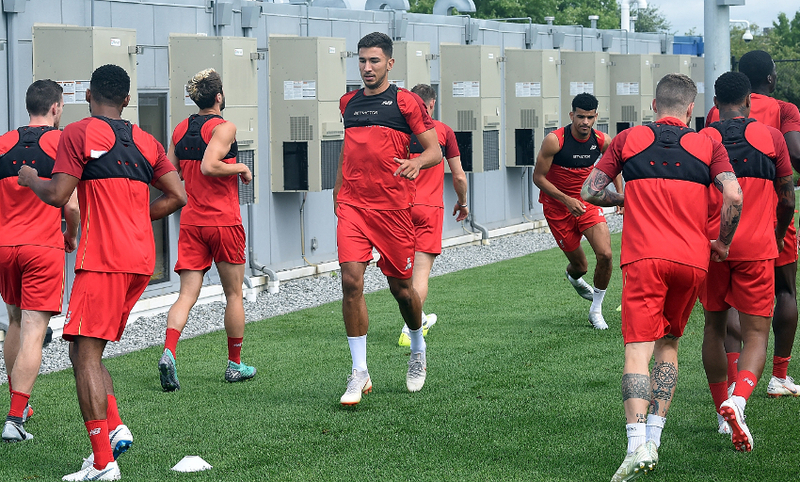 We'll have footage and photos of the No.23's maiden workout with Liverpool later, and we'll also be catching up with him at the team hotel as his Reds career begins. 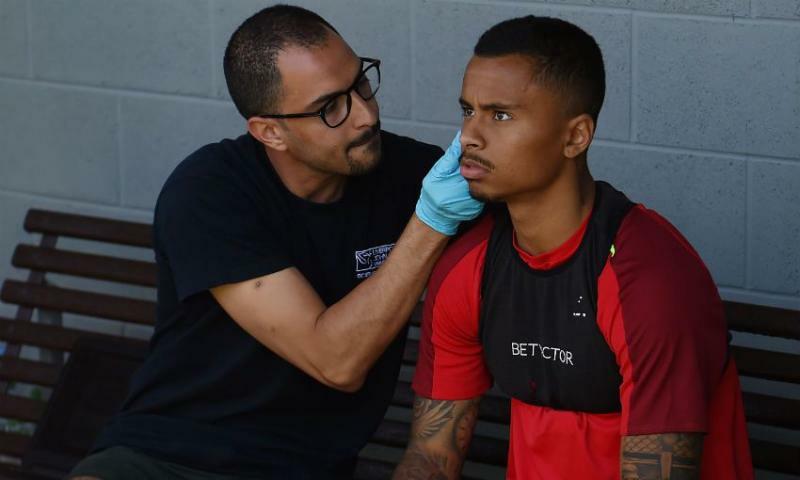 Allan Rodrigues de Souza has today signed an extension to his Liverpool contract – and completed a deal to join Eintracht Frankfurt on a season-long loan deal, subject to international clearance. 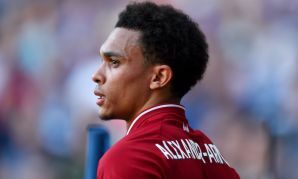 The Brazilian midfielder, who initially moved to Anfield from Internacional in September 2015, has committed his future to the club by inking fresh terms on Tuesday. Allan now heads to Germany, where he’ll spend 2018-19 with Bundesliga club Eintracht Frankfurt. 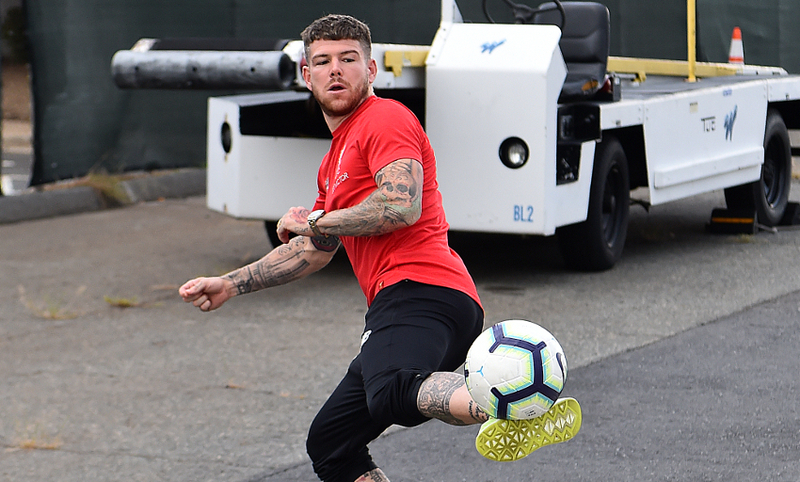 "[He] is a proper Scouser - I don’t know if I have the right words, but he is not shy to say a few things and probably that’s a surprise for one or two players!" Which Liverpool youngster is Jürgen Klopp talking about? Click here to find out! 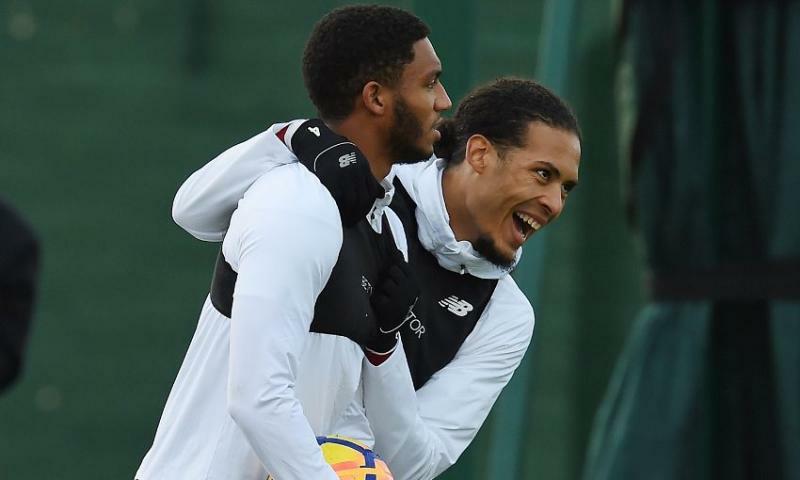 Virgil van Dijk and Joe Gomez were thrust together as a centre-half partnership after Joel Matip suffered an early injury against Borussia Dortmund. But that proved to be no problem for two players who are close on and off the pitch, as Gomez has been explaining to Liverpoolfc.com. The defender said: "We get on well off the pitch – he’s like my big brother. It’s a pleasure to play with him and it’s about learning from him. He is experienced, and I’ve got time to grow into that position. "I enjoy playing there; hopefully we can build and keep progressing together." Read more from Gomez on learning from the Netherlands captain here. 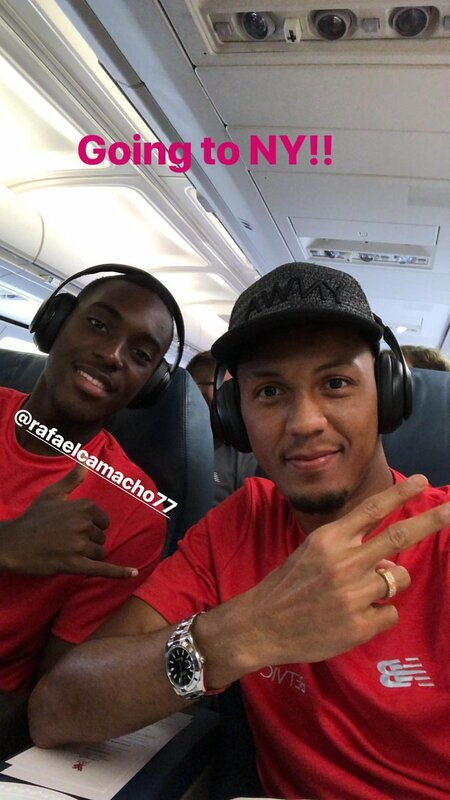 Take a quick look at the Reds landing in New Jersey last night and meeting local supporters before getting some much-needed rest in our Instagram clip below. Those quotes are sourced from our fantastic exclusive interview with the gaffer, which you can watch in full on LFCTV GO below. 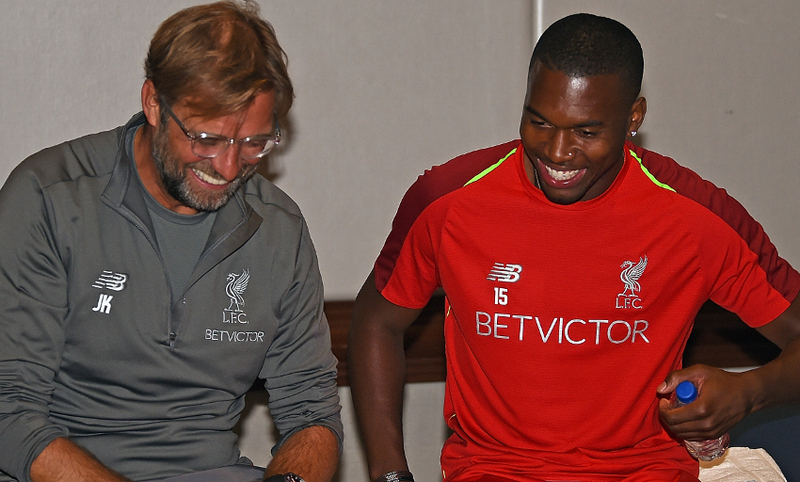 As well as discussing Sturridge, Klopp opens up on transfers, Pepijn Lijnders and his aims for the new season. 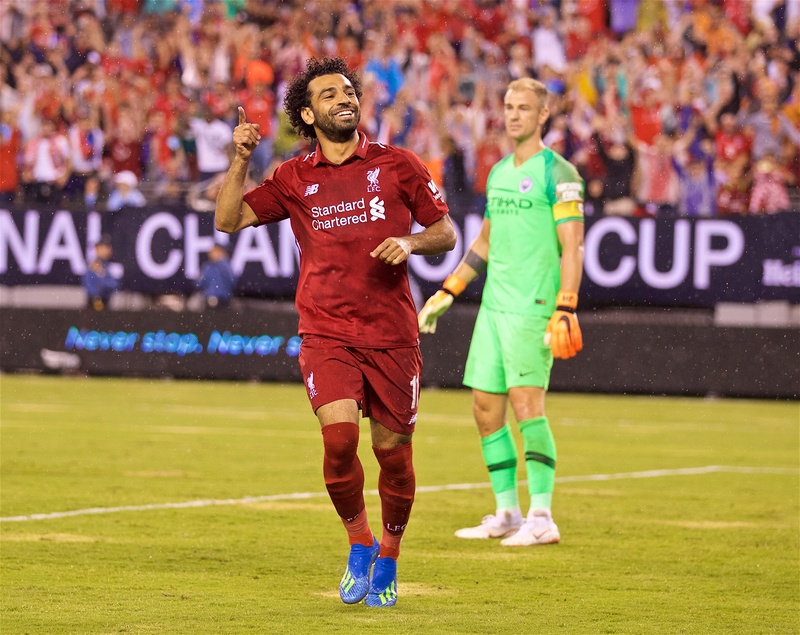 Daniel Sturridge has enjoyed an impressive start to Liverpool's pre-season campaign, scoring three times and running Borussia Dortmund ragged in Charlotte. And those performances have not gone unnoticed by Jürgen Klopp, who knows the striker can make a big impact at Anfield if he can remain fit. “We’re not in doubt - and nobody was ever in doubt - about his quality. In this moment he looks really good, to be honest. 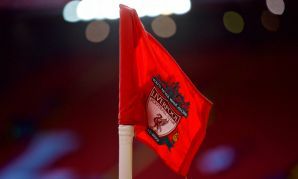 That’s cool - really cool for him and cool for us,” the manager told Liverpoolfc.com. It's currently 5.30am in New Jersey, and a pre-match training session awaits the players when they get up this morning. After that, it'll be the usual routine of food, rest and then time for the big clash with Manchester City. The Liverpool squad departed Charlotte for New Jersey yesterday, but the journey wasn't what you'd call smooth. A lengthy delay in take-off meant the players and staff were left stranded on the tarmac for a number of hours - not that they let it affect spirits. Take a look at these shots of what they got up to pass the time! 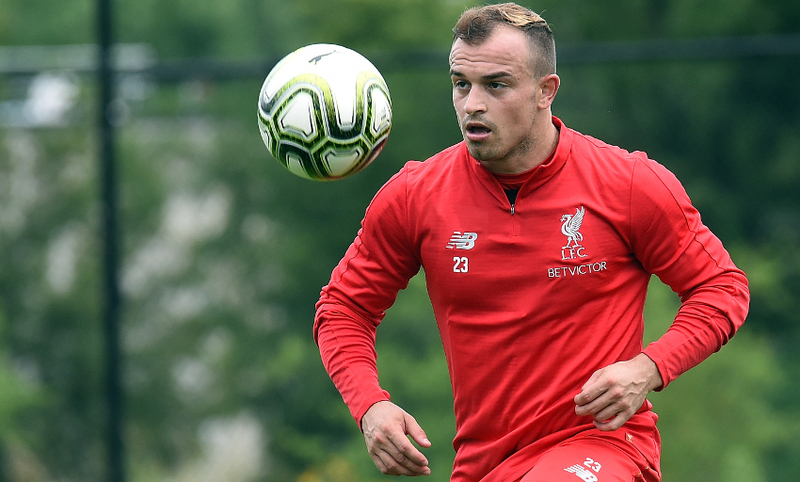 Summer signing Xherdan Shaqiri joined up with his new teammates yesterday and will now begin building his fitness back up and familiarising himself with Jürgen Klopp's tactical approach. The Swiss won't be involved in today's game for that reason, but there are three men who also featured at the World Cup who are in line for an appearance. Mohamed Salah, Sadio Mane and Marko Grujic are now fit enough to play and are in line to take on Pep Guardiola's men. 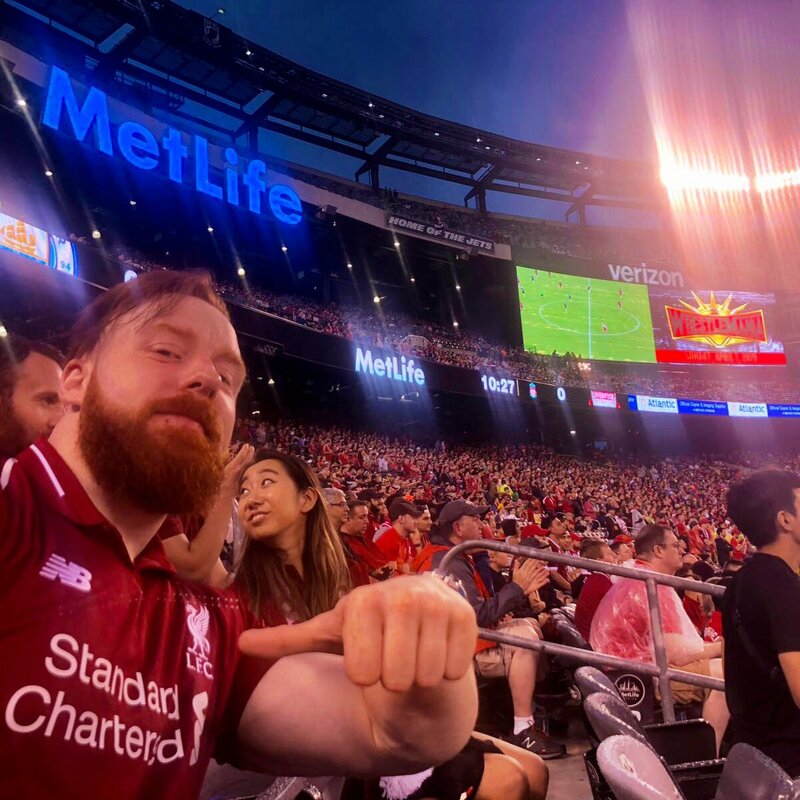 We're back for day five of Liverpool's tour of the United States and it's matchday! 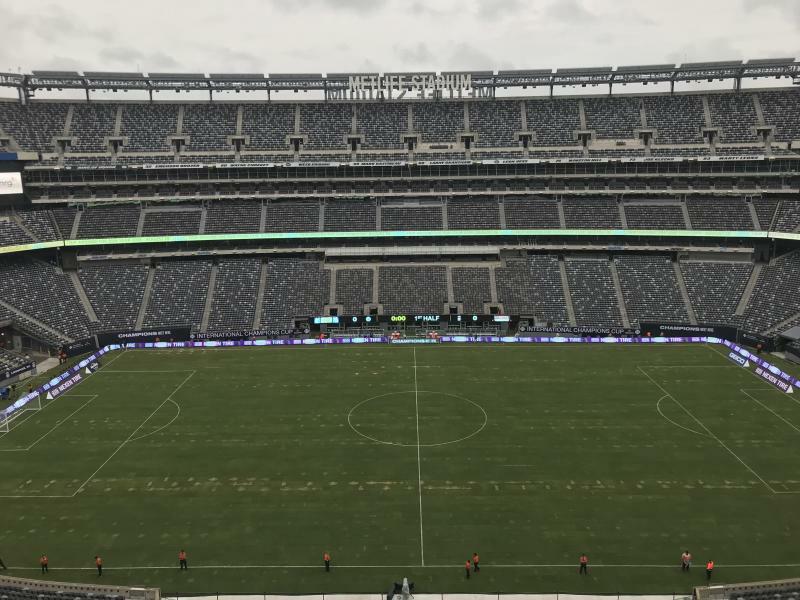 The Reds will face Premier League rivals Manchester City at MetLife Stadium later this evening (or tomorrow morning, given the 1.05am BST kick-off). 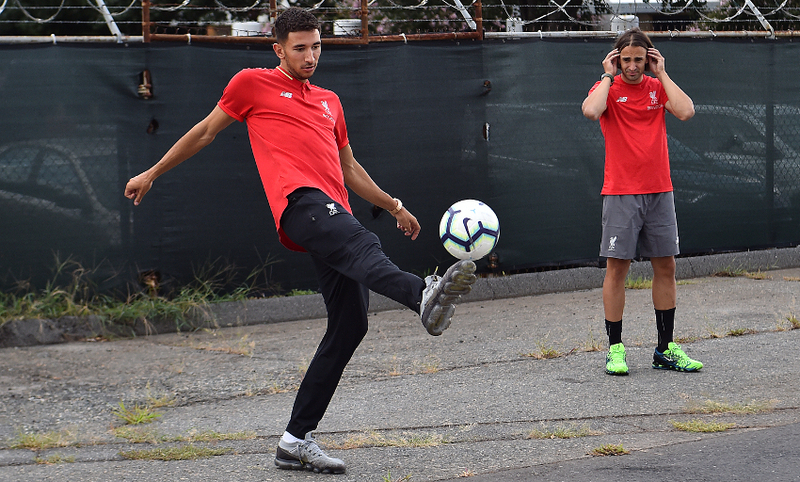 Stick with us for build-up to the game and the latest from the US as Jürgen Klopp's men continue preparations for the new season.